We may be different people, given that no human being is like the other; but we all share a common goal: success. Success means different things to different people; some feel that having lots of wealth is being successful, some that having peace of mind is success, some that small but meaningful steps in the direction is success, et cetera. We all view this very differently. And while we aim for the best, the road to it is barely, if ever, a smooth one. Mostly because we expect too much of ourselves that we forget that Rome wasn’t built in one day. If you were to ask any successful person, they will have you know that they did not have a straight path to where they are now. 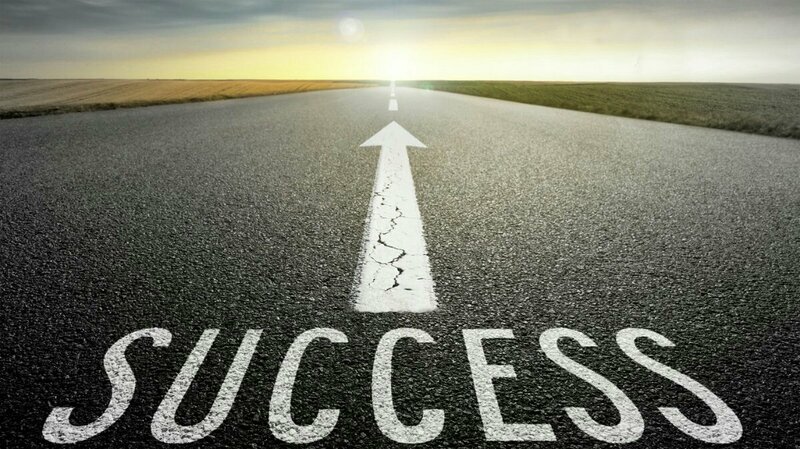 Here’s the thing; the road to success is not a straight, clear and definite road. There are many road blocks, sharp bends, detours and other obstacles that you must encounter for you to reach your final destination. I came across the “Zig Zag Principle” about three years ago. What it implies is that for you to get to where you want to be, you must constantly make necessary steps in the direction you want to take. While doing this, you will need to do “what’s necessary for that particular moment” with the end goal in mind. You may be aiming to be a Financial Analyst in a multinational organization, like I am. But at this moment, you may not have the finances nor the experience to get there. What do you do? You complete your Bachelor’s degree. With it, you get a good job (or you can start your own business); most of the time the job you get may have absolutely nothing to do with the field you are trained in. Do it with zeal, either way. Perfect your skills. Besides monetary compensation, there’s a lot to learn. Like networking and creating solid relations with certain people (ps: end goal in mind). While you’re here, you can save enough to get you to study further. Could be a Master’s degree or a professional course. You sharpen your skills both in the academic field, and in practice. By the time you are done, you have a great certificate, powerful connections, and a great resume. Then you make your move. The idea is to do what you have to, at that moment, to create your own stepping stone for you to move forward. Set your goals. Have a plan. And do whatever is necessary for you to achieve them. Don’t compare yourself with your friends. No. That is their path. Focus on what is yours. Only you know what goals you have. Only you know what you see in your future. Plan for it. Do not expect anyone to come and hand it to you. Know that you are the author of your own destiny. You’re in control. It is not easy. It’s never easy for anyone. But always remember the Zig Zag Principle. Then plan ahead. Thank you Mozzack. We’re always in a position to choose what next. By faith.